Following my recent supermarket disaster please see my Review below. Keith is so helpful and did a perfect job a real asset to your company, give him a well-deserved bonus. I didn't feel I was being ripped off or being charged extortionate prices, thanks! Supermarket car parks are the worst place to leave your car, usually it's a ... Read more small dent or scratch as driver's try to enter and exit their cars in the tight spaces. Last week someone just reversed straight into the car and caused damage on bother the side and bumper panels. No note or explanation to be found, no cameras or store liability. Thank goodness for Chips Away Derby, even though fully booked Keith came out to inspect the damage and arranged to take away the car and repair to a high standard. 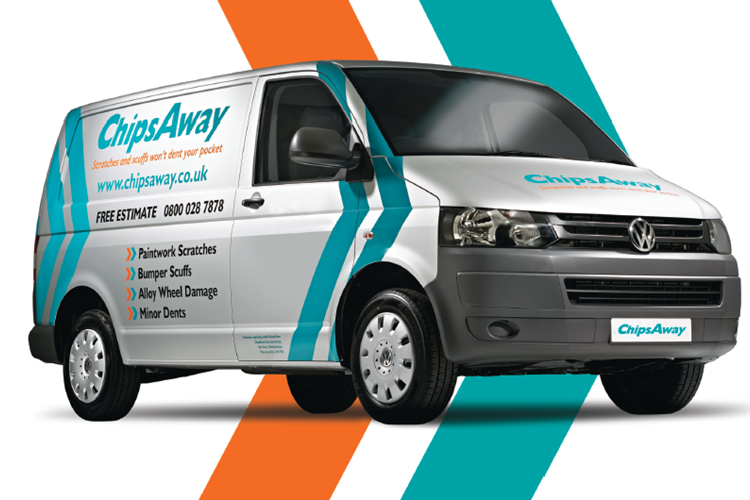 The work completed and service is fantastic and I would recommend you use them for back to new repairs. Keith kept me updated on the progress of the work and delivered the car back as promised. Better and so much cheaper than main dealers. You really have a diamond in Keith so please show him how valued he is. I would just like to say what a service, more so excellent workmanship. My 2002 Audi TT was showing its age, some scratched panel marks and larger scrapes in the front and rear boot lid, the wheels where also somewhat scabby. So I thought it time to have a tidy. All I can say is what a job for a chap in a can to do in your place of ... Read more works car park, without a full facility of workshops, ovens, dust extraction etc. The paint work colour has matched 100%, no orange peel or other abnormalities being visible, the scrape is repaired 100% following the contours/profile of the rest of the panel. The face of the wheels/appearance is excellent almost as new in appearance. I've had a few cars repaired in the paint shop facility similar to the ones just carried out and can honestly say the repairs carried out by Darren are far superior, extremely hassle free and excellent value for money, I will recommend and use again. Darren & Keith repaired two of our cars and they are both as good as new. Very friendly and helpful service! Keith from Chips away recently repaired a few scratches on my car. I have to say it was an excellent service from start to finish. Keith was very efficient, friendly and professional throughout. He did an excellent job and it was great value for money. I will definitely use Keith again in the future should I need any further repairs. Excellent service. I had several scuffs on my bonnet which I caused removing bird droppings. Keith from Chips Away came to my house and immediately polished them out. I was expecting a re-paint job but he was able to buff them out. Also he removed a door handle scratch on my partner’s car. The cost was a fraction on what I ... Read more expected. I will certainly use them again if needed. Very friendly and professional. Just had a scuff on my Golf's front bumper done by Darren and Keith, ChipsAway Derby. Very pleased with the result and the process from start to finish. An absolutely perfect job on my Range Rover Evoque, I would certainly recommend ChipsAway to all. Thank you for the excellent service - lovely company to deal with.